4 Comments on Take Care of Your Hair! I was wondering what you think of products like Wen? I think it’s supposedly NOT a shampoo but only a conditioner or something like that. My sister used to tout its praises until her hair started falling out. I am so sorry to hear that your sister’s hair fell out upon using Wen. If anyone from Wen is reading this, I welcome your comments. I would also love to hear from anyone who’s used Wen. So I try to go every other day for washing my hair. Mostly when I know I won’t be in public. Do you have any product suggestions for those of us that “feel” greasy and gross vs. actually looking so? I have two suggestions for you. One is to buy a “dry shampoo,” such as Oscar Blandi’s “Dry Shampoo Spray” ($23) or their powder ($21) at http://www.OscarBlandi.com. I’m a fan of Oscar Blandi hair products, but you can also find less expensive ones such as Batiste Dry Shampoo ($7.99) at http://www.Ulta.com. Dry shampoos are easy and quick fix-ups for when you don’t want to wash your hair, but it’s starting to feel yucky. The other option is to use a shampoo for oily hair. 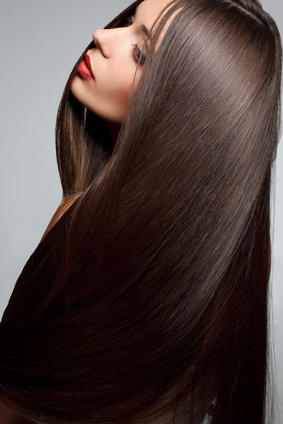 The stronger ones will allow your hair to go that extra day without feeling greasy. Nearly every hair care company makes them. I love Ojon products and recommend their Detoxifying Shampoo ($24) at http://www.Ojon.com. Look for shampoos that say “clarifying,” as these tend to rid the hair of product build-up and get rid of excess sebum, which causes oily hair.